Classic English comedy from the 1970s! 'The Goodies' were one of the things that made growing up in the Seventies so much fun! This show may be dated fashion- and special effects-wise, but the humour is still as original and hilarious as ever. Oddie, Garden and Brooke-Taylor shared a similar background and history to most of the Monty Python team. 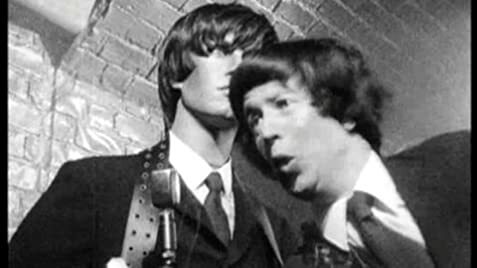 They also began as comedians while studying at University and various combination of Goodies and Pythons performed and wrote together for many television and radio comedies throughout the Sixties. Not long after Monty Python debuted on TV in 1969 The Goodies followed with their own series, which ended up lasting much longer. The Pythons aimed at adults, The Goodies at children, but for all their surface differences they shared a similar surreal Goons inspired wit, with an emphasis on wonderfully inventive sight gags. Unlike Python, the show wasn't a sketch comedy. The basic premise was that out heroes would do anything, anywhere, anytime, which meant that they got into increasingly bizarre situations, which were often just an excuse for silly goings on and funny stuff. And the show WAS funny! Even today the best episodes stand up, and 'Kitten Kong', the unforgettable episode about a giant kitten terrorizing a city, must surely rank as one of THE highlights of television comedy, any decade! The group left the BBC in 1981. Tim: At least there's time to do the ironing. Tim: Just think, this is the end of Derby County... and the Muppets! Tim: Yes, when we go, they'll go too, you know... oh, I do hope they don't suffer. Graeme: They're not real, you know!